Build your very own underground bunker! Your Town, USA – In our on-going effort to bring you free adult education classes, the FM Observer is proud to present our next, in a series of lessons for modern day survival. 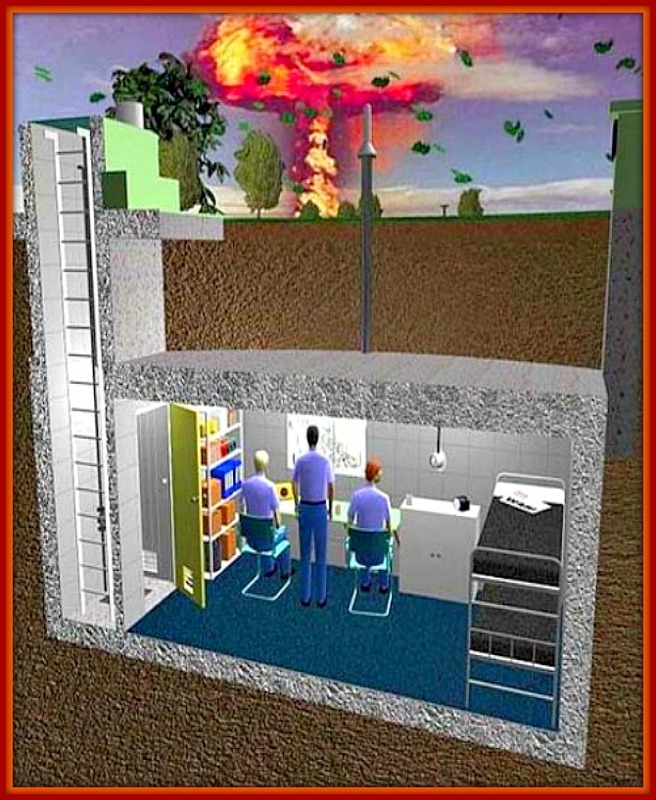 This article focuses on “How To Build Your Own Underground Bunker”. Like us, if you have ever desired to live in a unique home, and also wanted to have the CIA-type security of an underground bunker, this lesson is just for you. Underground bunkers come in all shapes and sizes and can range from small storage bunkers to entire living facilities equipped with beds, food, and beer. Whatever your paranoia, an underground bunker is sure to solve your problems, and give you and your family the peace-of-mind you seek. 1. Design your underground bunker. Plan your work before you work your plan. 2. Build it yourself or hire a qualified contractor. Make sure you find someone who can keep a secret. 3. Ensure that your underground bunker is safe and well lit. Check for improper ventilation and avoid a roof collapse. 4. Stock your underground bunker with everything that you and your loved ones will need. Take a trip to Sam’s Club and buy at least $250 of supplies, including water, non-perishable foods, and Advil. 5. Enjoy your underground bunker for the rest of your natural life! Please feel free to send in photos of your underground bunker to the FM Observer. We’ll show you ours, if you show us yours.